Fireball Tin Clockwork Boat. Boxed. 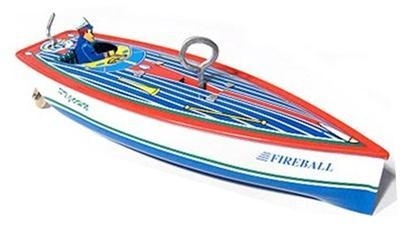 This is a reproduction of the tin wind up boat toys of the 1930's. The tin toy was a limited edition made in 1996 by Schylling. Box is in very good / mint condition.